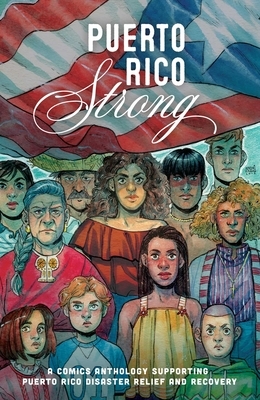 Puerto Rico Strong is a comics anthology that explores what it means to be Puerto Rican and the diversity that exists within that concept, from today's most exciting Puerto Rican comics creators. All profits will go to towards disaster relief and recovery programs to support Puerto Rico. Despite being a US territory, Puerto Rico is often thought of as a foreign land, if it's even a thought in the mind of the average American at all. Its people exist in all corners of America; some of them have parents who immigrated from the home island, others are a part of families that have been on the mainland for generations. Then there are those who have come to the states in search of a dream but struggle to integrate into an unfamiliar culture, while there are those who have lived in the United States all of their lives but still have the same struggle because of the color of their skin or their sexual identity. These stories follow individuals from diverse walks of life but are all part of the culture that is Puerto Rico.